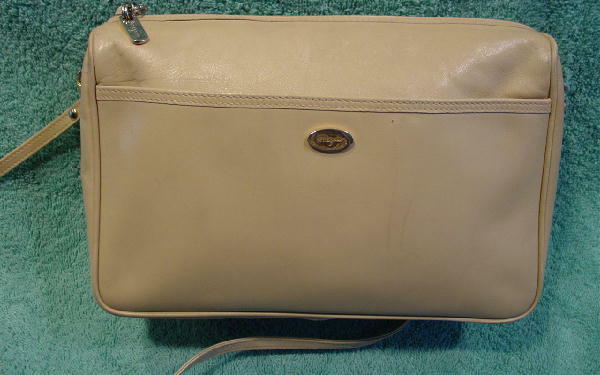 This sandy-bone color leather vintage Salvatore Ferragamo purse was made in Italy. 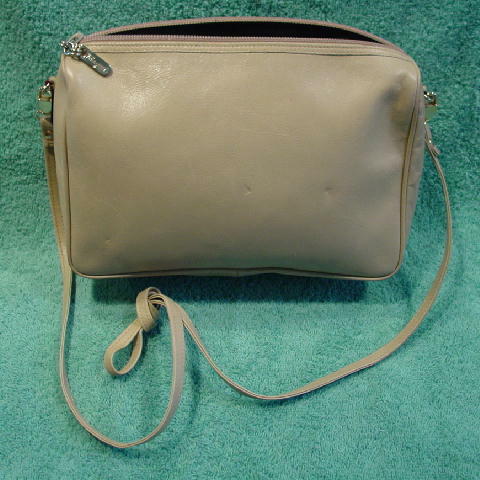 It has a top side to side zipper opening with a logo metal zipper pull. 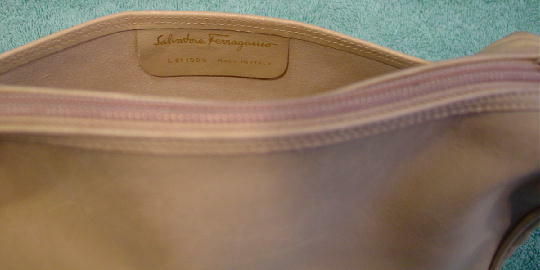 The front has an open pocket with an interior leather tag that says Salvatore Ferragamo L 211588 Made in Italy. 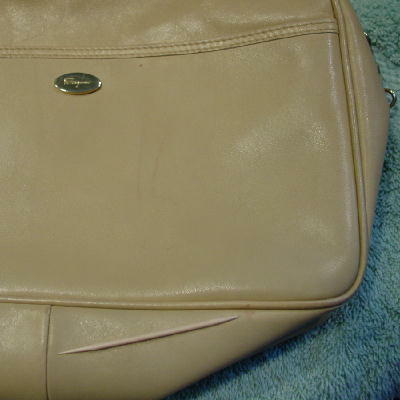 The large center section has a dark brown leather lining. On the outside of the front compartment is an oval gold-tone metal ornament with Ferragamo etched on it. 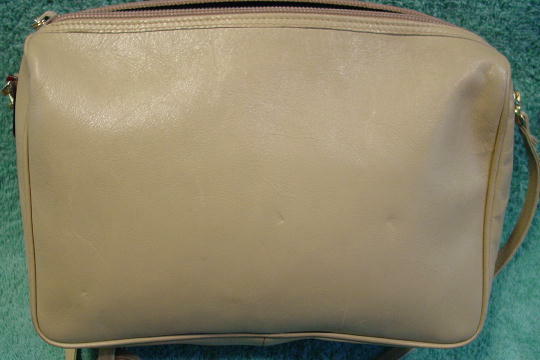 The back has three indentation marks. They're probably from being packed laying on something. The front has a light brown dot and 2 vertical line marks (which appear to be age marks on the leather) to the right of the logo ornament and one on the bottom edge.